It’s very disturbing to see my beloved South Beach turn into such a crime-ridden place. It used to be an upscale community, which catered to the rich and famous as well as anyone who wanted to pretend to be rich and famous. People could walk around without issue, go drink, party, hang out, and have a good time. Nowadays, post-real estate boom, it’s turned into a town known for arrests, fights, and unfortunately – tragedy. A recent story in the Miami Herald about a tourist who died after a fight led me to finally publish this story about South Beach. A man from Philadelphia, the Herald reports, died in a Miami Hospital after a fight at Felt, a billiards lounge in South Beach on Washington Avenue, and a favorite hangout of our own Terry Bender. A 27-year-old from Philadelphia died after a fight at a Miami Beach club, and police are asking for help finding a person of interest in the case. The fight happened about 3 a.m. Sunday at Felt Lounge, 1242 Washington Ave., said Detective Juan Sanchez, a spokesman for Miami Beach police. Three men were fighting inside the club, then the brawl spilled outside, Sanchez said. Afterward, one of the men ran away. The second man stayed with Dontae Davis. Davis tried to hail a cab but collapsed, Sanchez said. 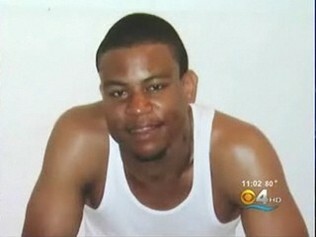 Paramedics took Davis to Mount Sinai Medical Center in Miami Beach, where he died the next day. On Thursday, medical examiners had not yet told police the cause of death, Sanchez said. These types of things happen all too often now in South Beach. Just 4 years ago, a well known bouncer named John Williams, who worked at Mansion, died after a fight spilled out of the club and into the street. Williams was breaking up the fight, subsequently stabbed, and as a result, passed away shortly after. A hero by all accounts, Williams’ death is just one of many sad stories that has unfortunately made South Beach a less attractive destination for world travelers who look to relax without any issues. For my money, I’ll gladly stay away from the streets of South Beach – it’s lost all of it’s luster and beauty that it once had. Many of the local celebrity personalities that once were South Beach regulars have moved on to other places, leaving behind stories of their roaming the streets freely and enjoying interaction with other South Beach partygoers. It’s sad to report, but South Beach has turned into a grimy, downtrodden, beat-up last resort for tourists. The few velvet ropes that remain enforced simply don’t offset the fights, problems, and arrests that are all too common in what was formerly the best adult playground in the USA. Will South Beach ever be the same?